While recent market swings are making many investors nervous, it’s also creating opportunities for some investment companies to showcase their strategies during volatile times. One example is WisdomTree Investments Inc., a major provider of exchange-traded funds currently expanding its presence in Canada. WisdomTree launched in Canada in July of 2016 with six funds and has grown to 15 funds today. In July of 2017, it paid $2.4-million to acquire and manage eight of Questrade’s ETF products. The Questrade deal has helped the company with its expansion plans, says Kurt MacAlpine, the New York-based global head of distribution at WisdomTree, which includes responsibility for the Canadian market. Still, “the vast majority of our growth has come organically where our strategies and products are resonating with financial advisors," Mr. MacAlpine says. The Globe recently spoke with Mr. MacAlpine, a native of New Brunswick who got his MBA at Queen’s University in Kingston and his Bachelor of Commerce from Saint Mary’s University in Halifax, N.S., about WisdomTree’s foray into Canada and how it’s positioned amid market volatility. 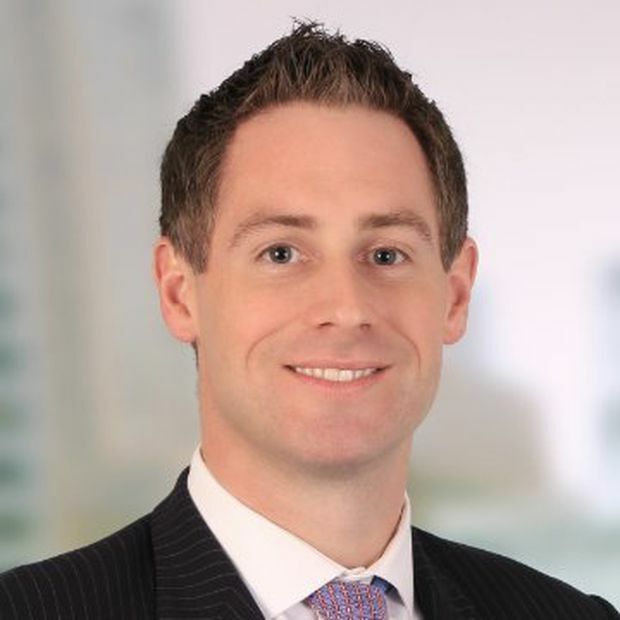 Kurt MacAlpine, the New York-based global head of distribution at WisdomTree, which includes responsibility for Canada. The question was when, not if. Canada, as a market, has a lot of similarities with the U.S. market. We, historically, without having a local product, had done particularly well in Canada. We had a pretty strong adoption of our U.S. funds held by Canadian platforms and investors. The ‘why now’ was CRM2 [the second phase of the client relationship model put in place to provide investors with greater transparency around the fees they pay for financial advice], the progressive regulatory environment which we thought was fantastic for investors. We wanted to get out in front of that. We felt CRM2 would bring a fundamental shift in the advisor-client relationship with fees and transparency being more important. That plays well with what we are doing. How do you work with advisors to gain their business? We have two objectives when we deal with platforms and advisors: We want to be their primary product provider and we believe we have the strategies, the performance, the expertise and the track record to do it. We also want to be the primary business partner. We have tools and resources to help advisors grow their practice. For example, we’ve built portfolio construction tools on our website that are free for advisors to use to evaluate how our funds fit alongside their portfolios. We’ve also struck senior advisor relationships with world-leading academics and institutions on topics advisors say are most relevant to them. One example is Wharton School finance professor Jeremy Siegel, a leading economist and thinker on the markets. He is a senior advisor at WisdomTree. We describe our approach as 'modern alpha.' It's not just the ETFs, which are more modern than mutual funds, but the transparency. The industry has a belief that if you provide investors with transparency, that will compromise your returns. We have demonstrated that's not true. You can provide investors with full transparency and still deliver performance that meets and exceeds the market. For instance, our holdings are public knowledge and published on a daily basis. We are building ETFs that are designed to outperform, not track the market, through proprietary methodologies. How are advisors reacting to your offerings and how has it influenced your products? The feedback is evident through the strong flows in the marketplace. There is a strong two-way dialogue [between WisdomTree and advisors]. Our funds include feedback from advisors and exposure they're looking for. An example is the launch of WisdomTree Europe Equity Index ETF (EHE.B), a European equity strategy based on a flagship fund we have in the United States, WisdomTree Europe Hedged Equity Fund (HEDJ). We initially launched this fund in Canada with hedged exposure, via the WisdomTree Europe Hedged Equity Index ETF (EHE). A client reached out to us and said, “I like the fund, but I wish I could have that exact same fund without a currency hedge." We launched the unhedged version in August of 2017 based on direct input from a client. What’s your strategy given current market volatility? A lot of ETF sponsors build strategies designed to track the market, in which case the funds are constantly buying the greatest percentage of the most overvalued securities. When the markets hit volatile points like this, they tend to struggle because market-capitalization-weighted methodologies become the most exposed. We are building strategies based on fundamentals, such as earnings or dividends, not the cap-weighted methodologies of price-per-share times shares-outstanding. Periods of market volatility create opportunities for us as advisors are rethinking their portfolio decisions. Our top ETFs by assets under management are CAGG [WisdomTree Yield Enhanced Canada Short-Term Aggregate Bond Index ETF] and CAGS [WisdomTree Yield Enhanced Canada Short-Term Aggregate Bond Index ETF], two fixed-income ETF strategies. This is likely a result of the current market environment. What can advisors expect from WisdomTree going forward? We are extremely excited about the Canadian marketplace and the success we’ve had and potential we have going forward. ... Whether it’s markets with higher or lower volatility, our mission and objective remain the same. How clients use us in each of those different market environments might be different. We have products that provide Canadians with exposure to every major asset class they would be thinking about having. We also have strategies that are more tactical in nature: some are more country funds, some are more thematic funds. From a product standpoint, you’ll see us do more of both.